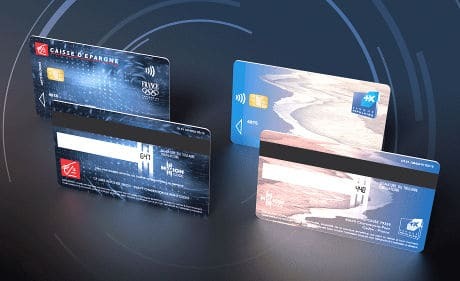 France’s second largest banking group BPCE is to pilot a payment card that replaces the three-figure security code on the back of the card with a mini-screen that displays a code which automatically changes periodically. The cards, aimed at improving the security of online payments, are to be provided by Oberthur Technologies (OT) in partnership with payment services provider Natixis Payment Solutions and will be the first to use OT’s Motion Code cryptogram solution. They will be piloted by the French banks Banque Populaire and Caisse d’Epargne with 1,000 customers in September 2015. “This innovative technology adds a new layer of security to online transactions, but with complete transparency for cardholders and retailers,” OT explains. “For holders of this new generation payment card, the solution is completely transparent and involves no change to the normal purchasing process. “The Banque Populaire and Caisse d’Epargne networks will be the first banks in the world to give their customers the opportunity to experiment with this new payment card technology to make their online purchases even more secure,” says Nicolas Chatillon, head of development of payments, strategic marketing and studies at BPCE.